« Come Celebrate Sequim Lavender WeekendJuly 18th through the 20th, 2014! If you’re familiar with any of the Disney wildlife productions like “Charlie the Lonesome Cougar,” “The Incredible Journey,” “White Wilderness,” or the “Grizzly Adams” television show and movies, then you’re familiar with Olympic Game Farm without even knowing it. Lloyd and his talent with animals made a good partnership for the interests of Disney and they worked together for 28 years. Times change, though, and Disney’s focus on animal features faded along with the public’s interest in them. In 1972, the Olympic Game Farm switched gears from filming to caring for “in need” captive bred animals, opening their park to the public. Robert Beebe, Lloyd’s grandson, now runs the Olympic Game Farm: 70 acres of animals that you can tour in your car and feed wheat bread to – or stop and take the mini tour which includes a petting farm, a freshwater aquarium, an education area, and a tour of the historical studio barn, which has numerous classic movie props, lights, antiques, and other memorabilia from the Disney days. So what about those waving bears? 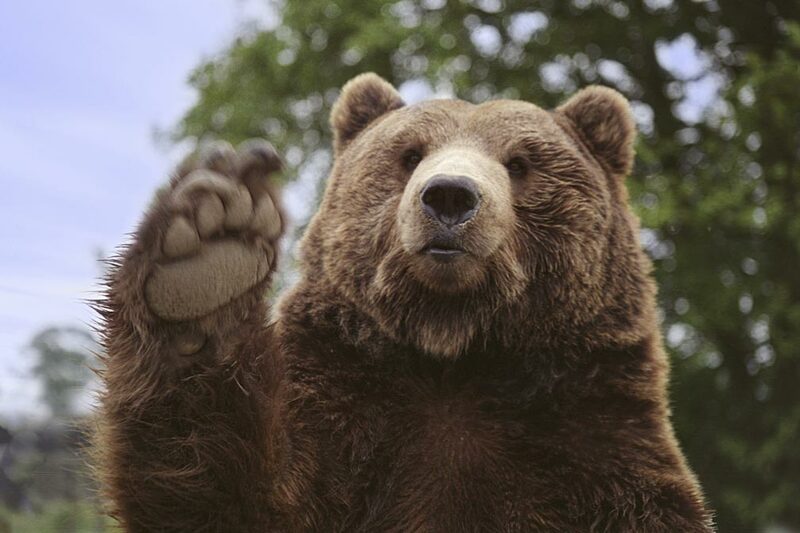 Yes, there are Kodiak bears at the Olympic Game Farm that have been trained to wave “hello” back at you (it helps if you toss them some wheat bread to eat). There are also elk, zebra, prairie dogs, llamas, deer, Bengal tiger, African lions, cougar, lynx, bobcat, coyote, wolves, black bear, and more! You can feed many of the animals but only wheat bread, which you can bring along or buy on site. 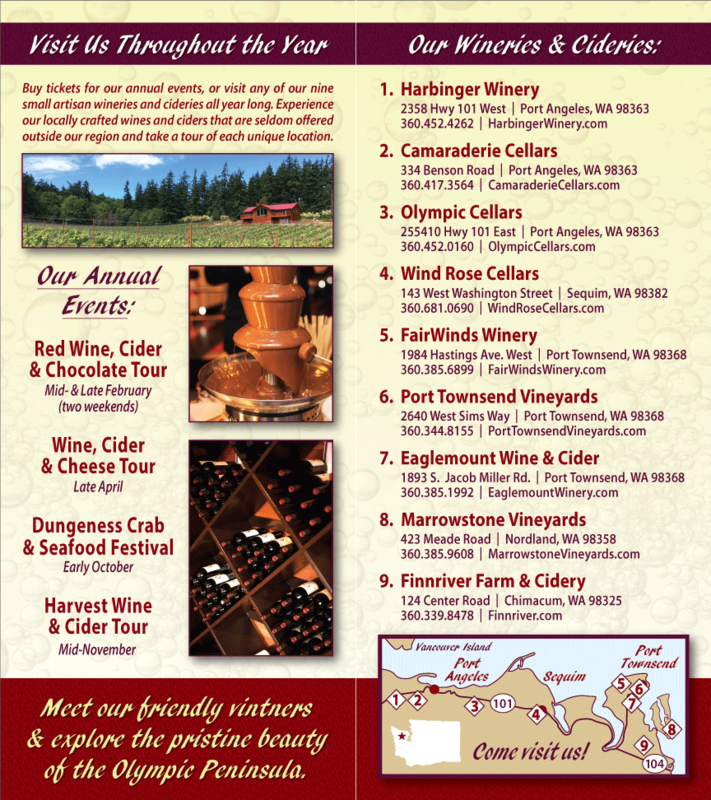 There are lots of things to do on the North Olympic Peninsula so, when you come, plan to make a day of it and be sure to include some time to stop by one or more of our member wineries – all of which are located in the area! Wind Rose Cellars is in Sequim along with the Olympic Game Farm while Harbinger Winery, Camaraderie Cellars, Black Diamond Winery, and Olympic Cellars are just up the road in Port Angeles and Eaglemount Wine & Cider, FairWinds Winery, Finnriver Farm & Cidery, and Marrowstone Vineyards are all on the way, in or near Port Townsend. Stop in to one or all for a sample of some great Western Washington wines or ciders and a bottle or two to take with you – what a treat!